The sun’s ultraviolet (UV) rays may not seem as potent in the winter as they do in the summer, but they are. In fact, they are often times more intense during the winter months. Exposing your eyes to ultraviolet rays without proper protection can lead to eye damage of the cornea, lens and retina. 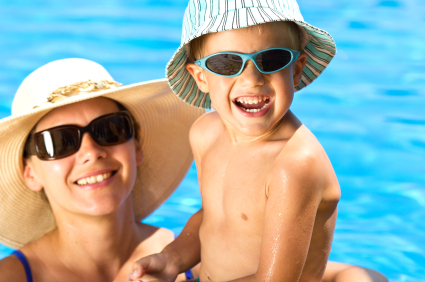 UV exposure also contributes to certain types of cataracts. UV rays can actually cause sunburned eyes. This condition is commonly known as snow blindness. Skiers and snowmobilers are particularly susceptible to snow blindness but it can happen to anyone outdoors in the winter time without the proper eye protection. All surfaces reflect light but during the winter months, snow or ice intensifies these reflections. Snow and ice reflect nearly 85% of the sun’s rays, according to the Vision Council of America which can significantly interfere with your vision and cause hazardous situations, especially when driving a motor vehicle. Winter is characterized by overcast skies, bright sun and many days with an ever-changing mix of both conditions. Our eyes require a specific amount of light to achieve good vision. Too much light or too little light will not foster consistently clear vision. Sunglasses balance the amount of light reaching your eyes which promotes good vision and comfort during the winter months. Cold winds during the winter months and the particles these winds carry can irritate your eyes. Sunglasses are an effective “wind block”, protecting your eyes from drying, reducing evaporation of tears and keeping your eyes moist. If you wear contact lenses, sunglasses can be a vital tool for clear vision and comfort. Protecting your and all members of your family’s eyes during the winter months is important. Sunglasses are an essential item in your winter gear and apparel. They allow you to adapt quickly to changing light conditions and a proper fit will protect your eyes from UV rays as well as the extreme reflections generated from snow and ice covered surfaces. 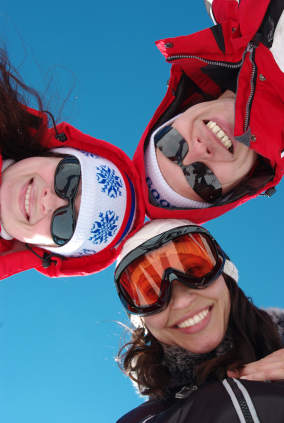 Discuss proper eye protection and eye health for the winter months with your eye doctor. He or she will be able to provide you with the eye care and eye wear guidance and advice you need to satisfy the needs of your unique lifestyle. To learn more about quality eye care and eye wear, please Contact Us or visit http://www.shawneeoptical.com.